The farmers say their main demand is for a waiver of all loans and the implementation of the Swaminathan Committee report. The farmers are demanding waiver of all loans and the implementation of the Swaminathan Committee report. The massive march by farmers and adivasis from Maharashtra has reached the Mumbai border and slowly proceeding towards the KJ Somaiya ground in central Mumbai. They will be protesting outside the Maharashtra assembly in Mumbai tomorrow. The crowd swelled to about 35,000 with more people joining in Thane on Saturday. The police have tightened security and issued traffic advisory for a busy Monday. 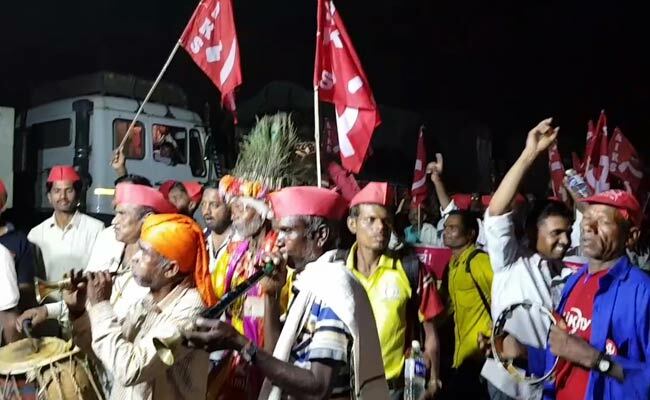 The protesters, who began the march from Nashik on Tuesday evening and are about to finish a tiring walk of 180 km to Mumbai with night halts every 30-odd kilometre, have found political support. Senior Shiv Sena leader Eknath Shinde visited the protesters late Friday night and welcomed them. But he also clarified that he had come with party chief Uddhav Thackeray's message and not as a cabinet minister in the Government of Maharashtra. The protesters began the march from Nashik on Tuesday evening. The Nationalist Congress Party and the Raj Thackeray-led Maharashtra Navnirman Sena have also offered support. Mr Thackeray may even visit the marching farmers and adivasis today, an MNS functionary said. The Left-affiliated All India Kisan Sabha welcomed everyone to join but questioned why the Sena, an ally in the government, only had encouragement to offer. Ajit Nawale from the All India Kisan Sabha said, "It's sad the Sena has only offered support. 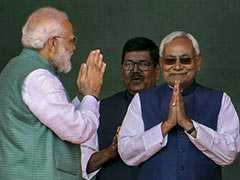 Their presence and the support is welcome but he (Mr Shinde) is a member of the government. Only support is not fair. You call yourselves tigers. When will you use your claws for farmers interests?" 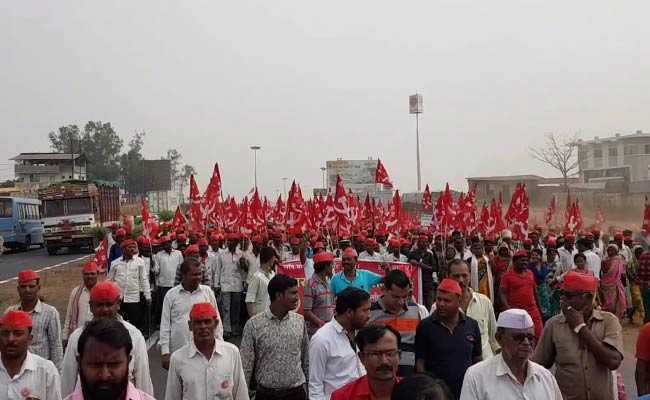 As the march continued towards Mumbai under thousands of red flags fluttering in the air, the organisers insisted it could not be branded a communist protest as it was for a common cause and not confined to the Left alone. The farmers say their main demand is for a waiver of all loans and the implementation of the Swaminathan Committee report, which says farmers should be paid one and a half times the cost of production for what they produce and the MSP's should be fixed keeping this in mind. The organisers insisted the protest was for a common cause and not confined to the Left alone. The adivasis, who have joined the movement in huge numbers, say it is a matter of life and death. While their families at home worried about their health, Godabai Putinde, 65, and Jidabai Gaikwad, in her 70s, marched on undeterred. An energetic Jidabai said her rights were very important to her and she had managed to not only walk all the way from Nashik but remain right at the front of the march consistently for these four days. Her formula to keep going? Break into a dance. "I want to tell the Chief Minister that he should transfer the land in our names so that we can work and feed ourselves," a beaming Jijabai Gaikwad told NDTV, showing off the blisters she developed on her feet while walking in the heat for four days. Though the protesters plan to picket the legislative assembly on Monday, the government is not looking at a confrontation. Security arrangements have been put in place for Monday and traffic advisories are also being issued. The BJP-led government will have to tread carefully as it cannot afford to antagonise the rural constituency ahead of elections next year, political experts say.